Is it necessary to rebed track pads after commuting? I ended up bedding the pads in during my first session, everything was fine. Chuckwalla is an awesome track. Chuckwalla is an awesome track. For real, such a great match for our cars. 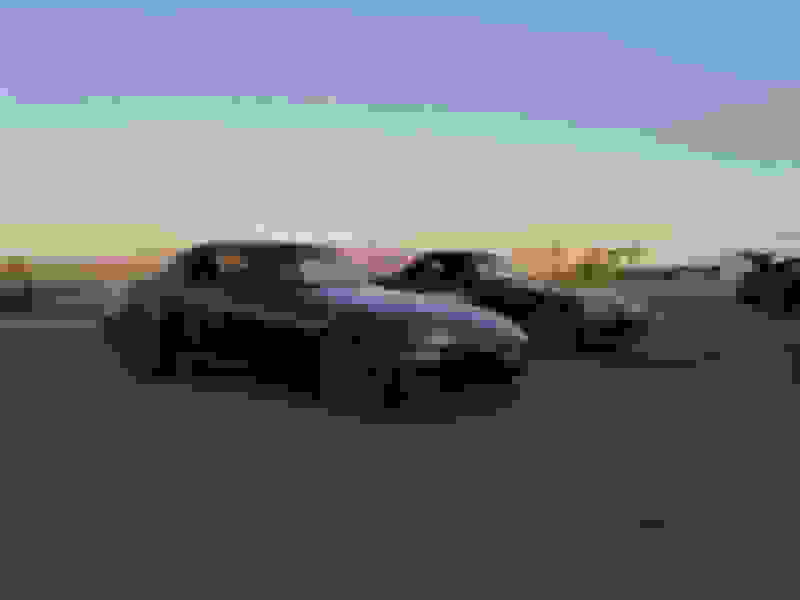 They run small self-hosted events that usually end up being two five to fifteen car groups with six 30 minute sessions for $160-ish, if you watch their calendar. Yeah it's easily my favorite now (though I've only been to Thunderhill and Buttonwillow). I'll probably be at the May 11th event they're hosting. Chuckwalla had me going WTF when I went over the hill to 11 and saw the bowl for the first time, seeing the hill at Thunderhill for the first time was another one of those WTF moments. Only tracked motorcycles there but the way the bikes will want to just wheelie down the back of 9 is pretty great. Anyway, I will see if I can make that event too. Last edited by Chibo; 02-11-2019 at 10:06 AM. I went out this weekend - set a PB of 2:03.2 - still off pace from the fast guys, but that's about 3.5 seconds better than my last time out. I got new NT-01s, versus the 2.5 year old 7-8 day cycled NT-01s I ran last time. My tire excuse was legit... Other changes included Nolothane FSB, 800F/700R springs (up from 700/600). I'm planning to go out again with speedventures for their March event. I"ll have to keep an eye out for those self-hosted events. Link directly on their site? I didn't bother swapping pads or rebedding. I daily drove my s2k for about 4-5 years where it served double duty. I ran with XP10s, DTC70s, HC800+, and now ST-43s. I'm on a StopTech ST40 BBK. Which S2000 were you? I think there were only 4 in total including my buddy and I in the sea of BRZs and E36s. I didn't run timing but I was able to keep pace with my buddy who was in the 2:10 range. I know I left a ton of time on table, especially around corners 8-10. I'm running the Powerstop PSA pads right now which squeal like a mother****er and make a ton of dust. I prefer keeping my street wheels relatively clean so I try to only run these pads with my track/auto-x wheels. 2:03 CW sounds like at least a wing, right A 2:03 in a NA car is definitely not slow, regardless of what the fast guys are doing. 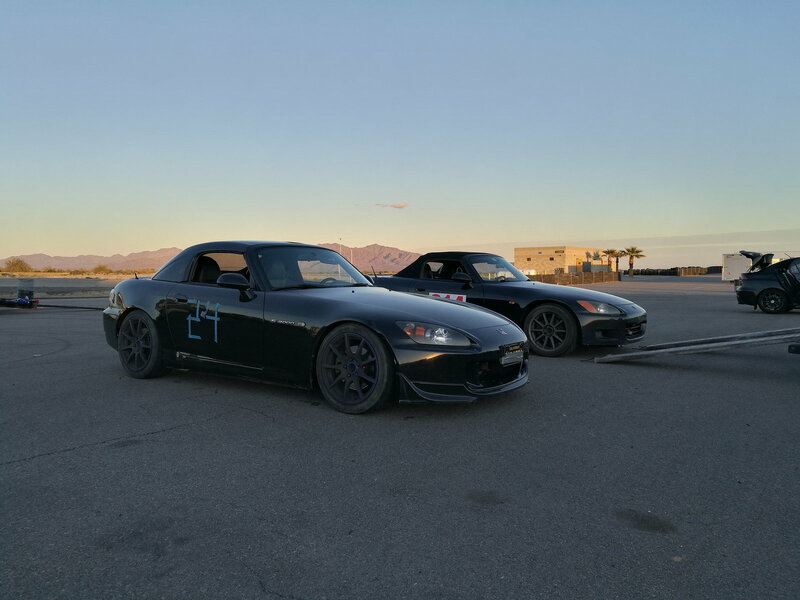 I did a 2:08 in street class trim in November... headed out for NASA this weekend with a wing for the first time. What are the best pads & disc for track day use in the UK? Will dedicated track rotors give longer pad life? Quick Reply: Is it necessary to rebed track pads after commuting?